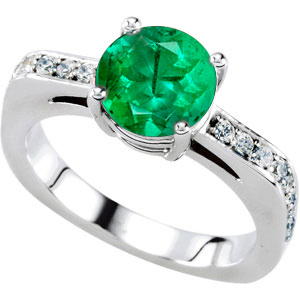 Emeralds, being one of the three colored gems categorizes as Precious Gemstones, are always fancy, elegant and refined. 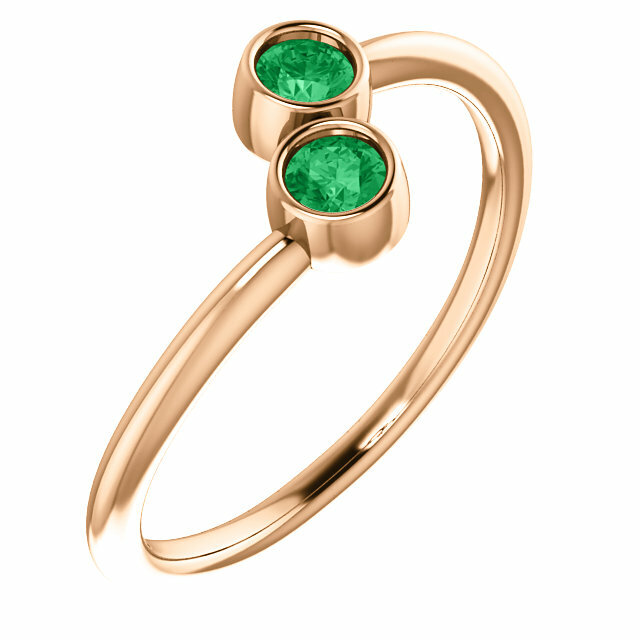 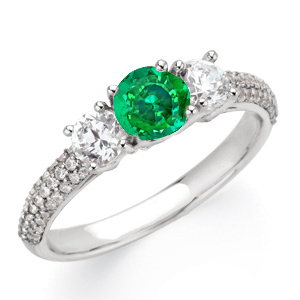 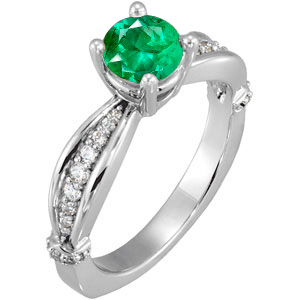 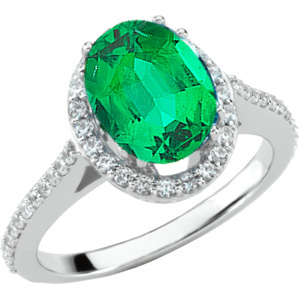 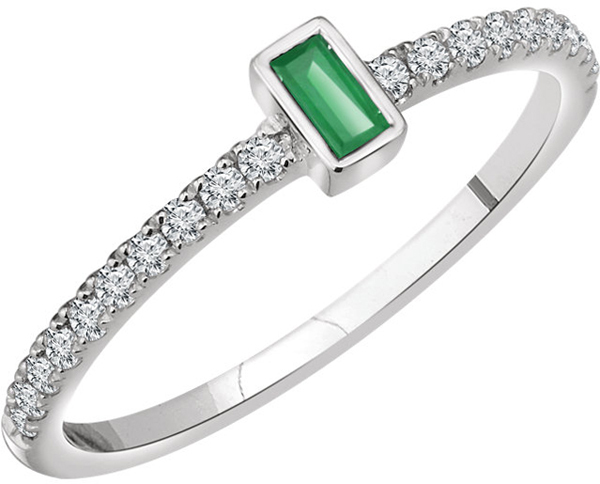 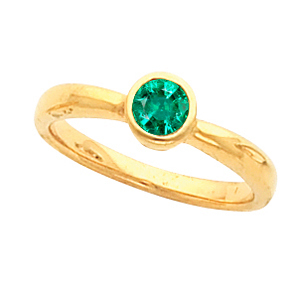 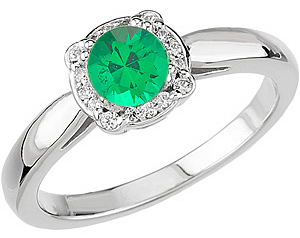 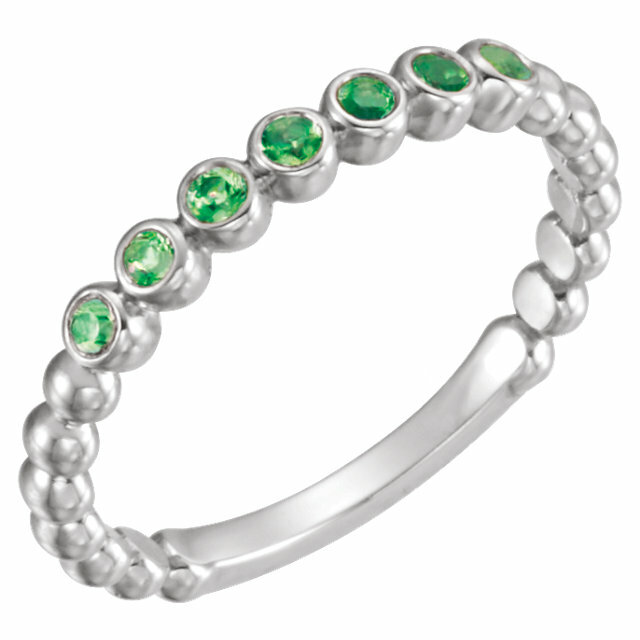 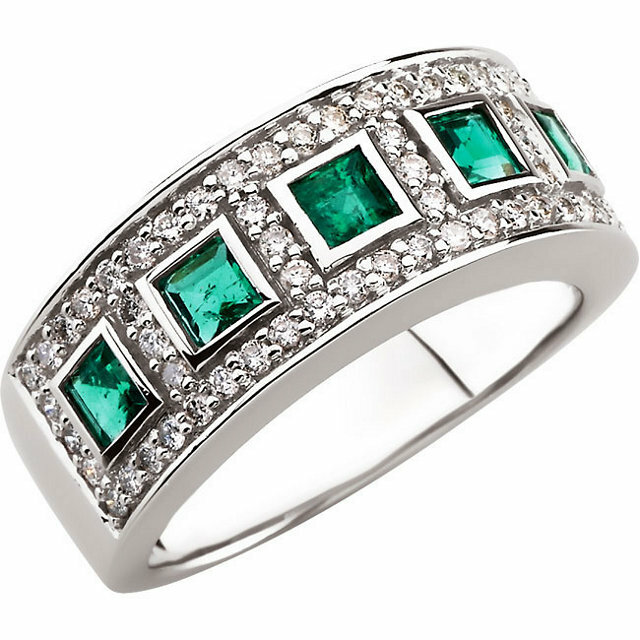 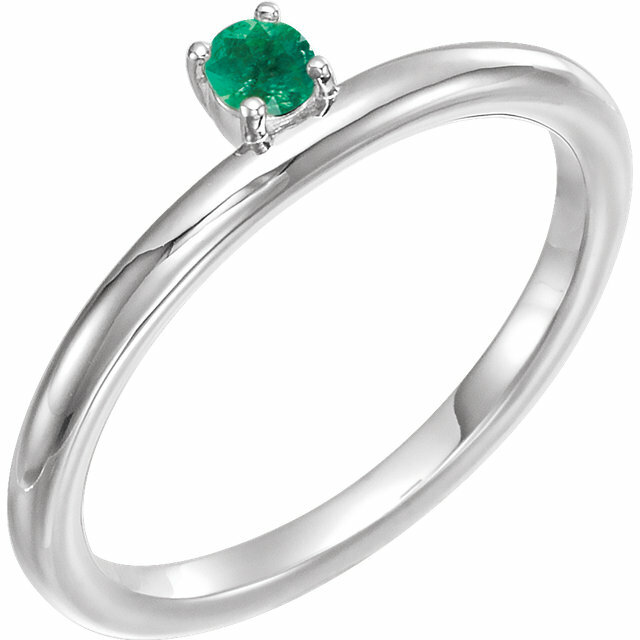 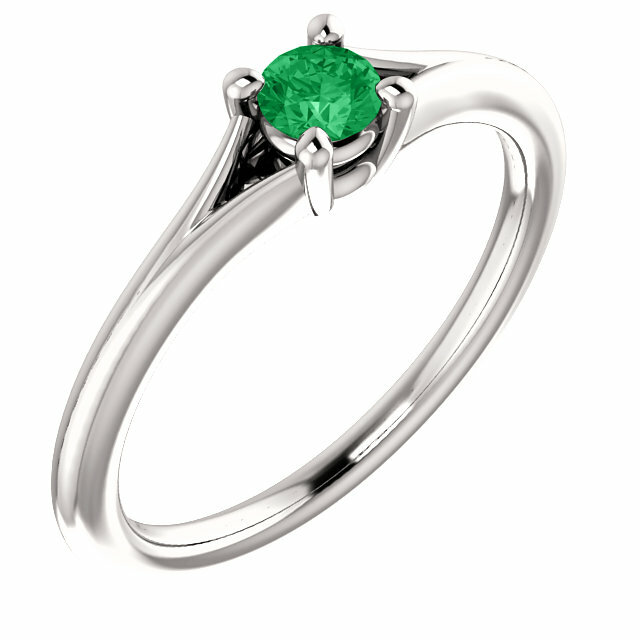 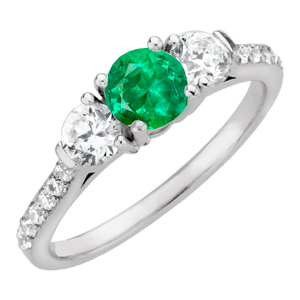 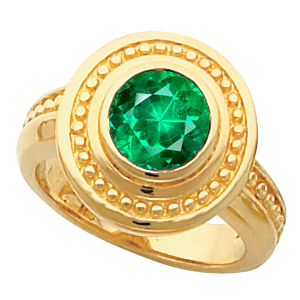 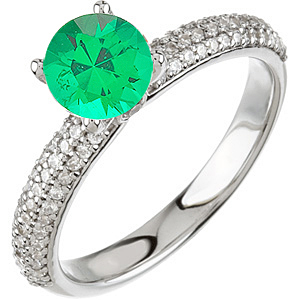 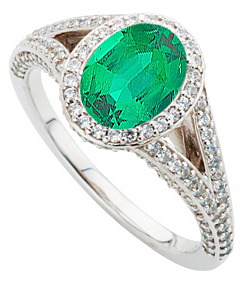 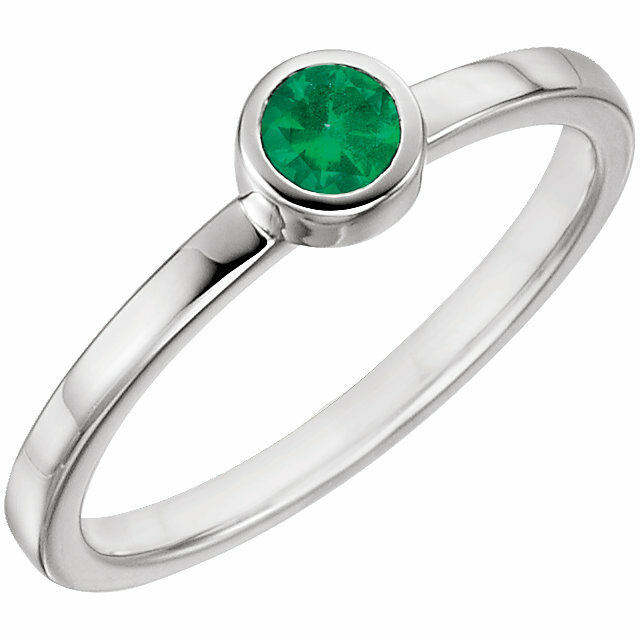 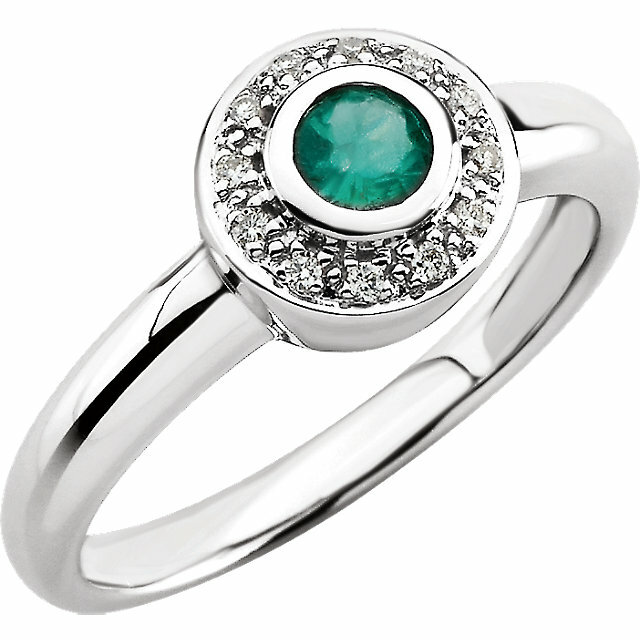 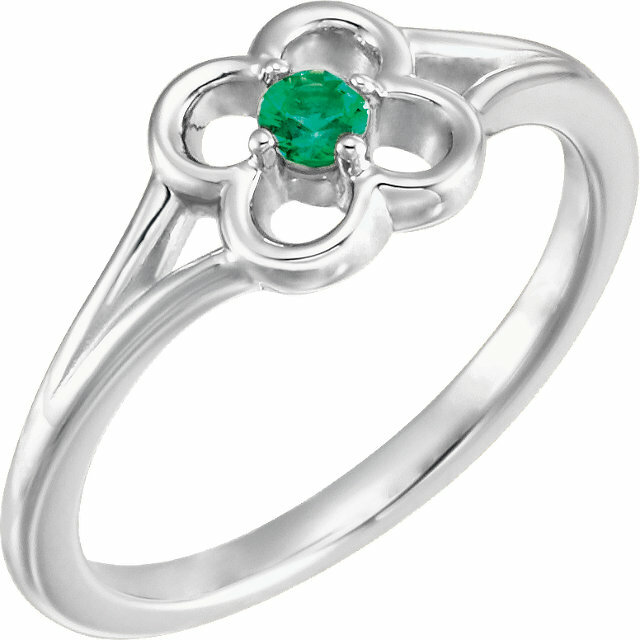 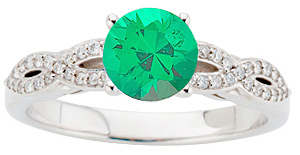 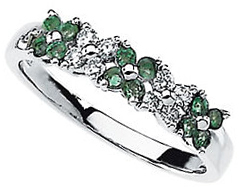 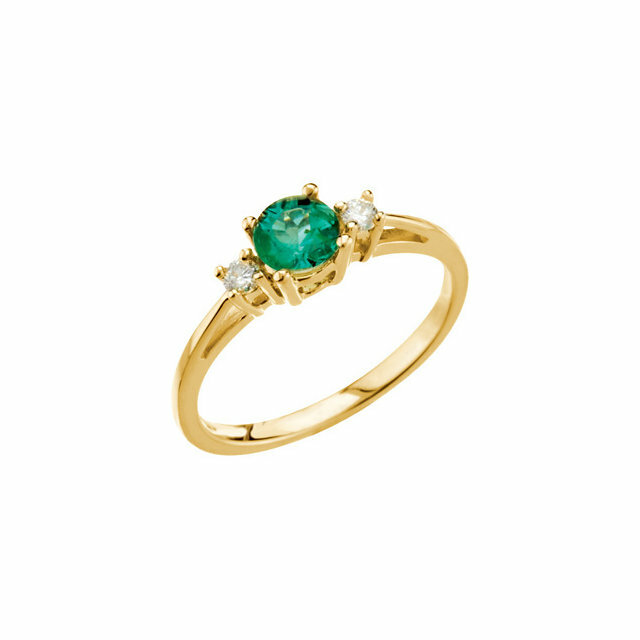 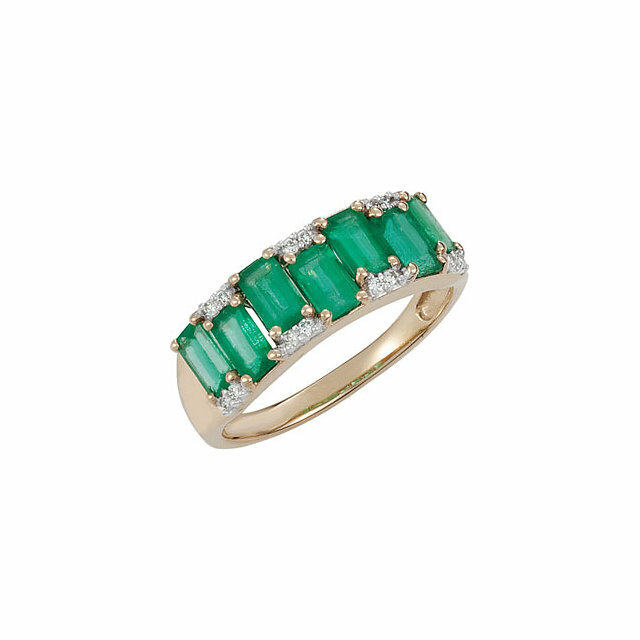 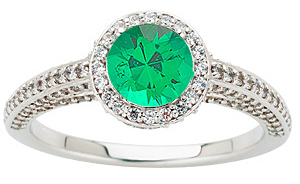 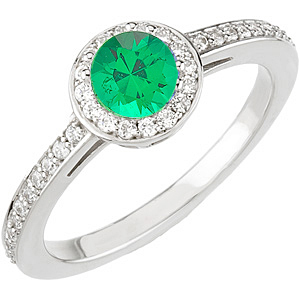 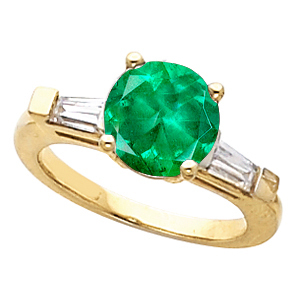 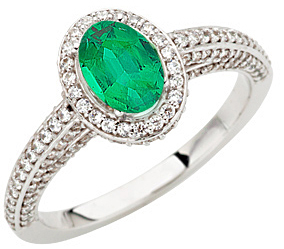 An Emerald ring is a great way to accessorize with color and to add a touch of class to your look. 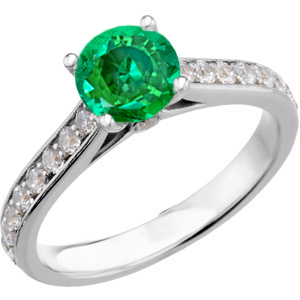 Recently, colored gemstones have become all-the-rage for engagement rings, and many celebrities and trend setters have forgone the boring diamond for a more meaningful colored gemstone. 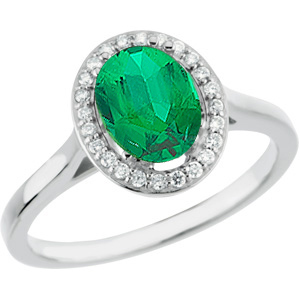 Whether Emerald is your birthstone, or you find the bright cheerful green Emerald color irresistible, an Emerald engagement ring is a trendy and unique option. 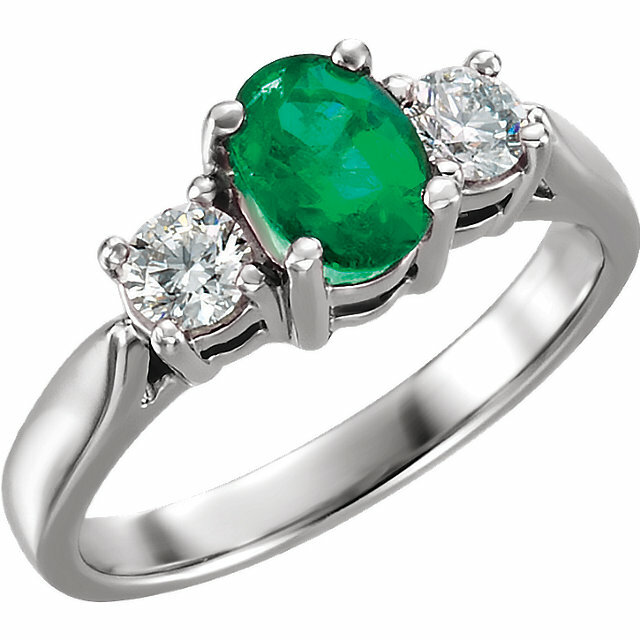 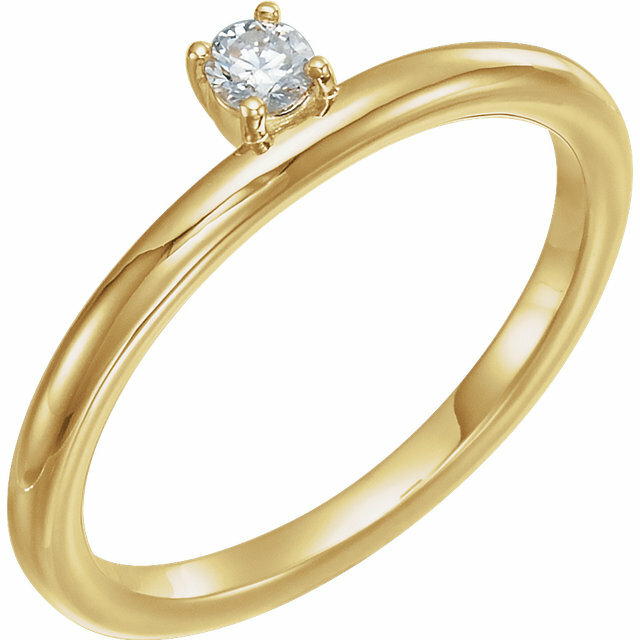 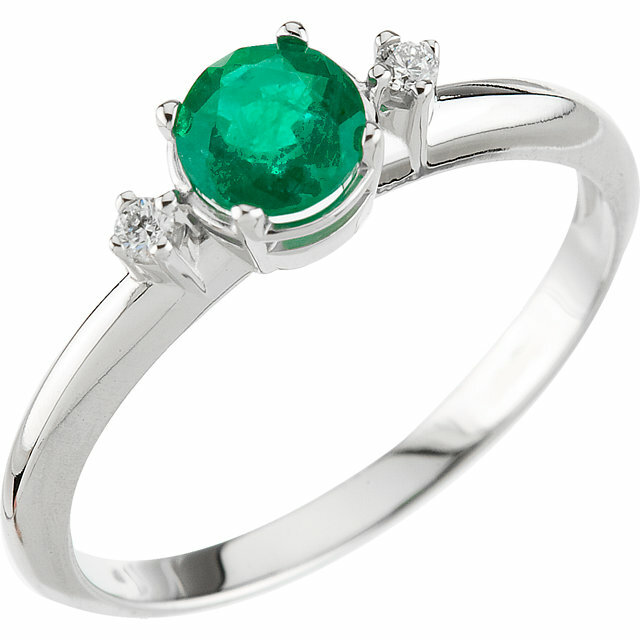 Choose your favorite Emerald Engagement ring from our extensive selection. 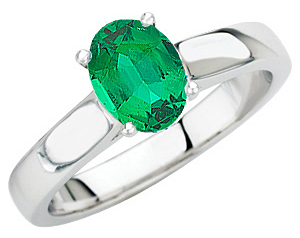 Like our loose emerald gemstones, our selection of unique emerald jewelry is all about quality. 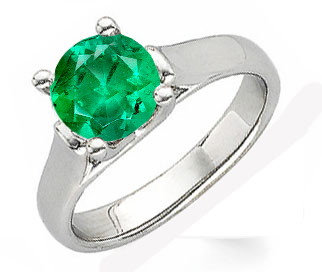 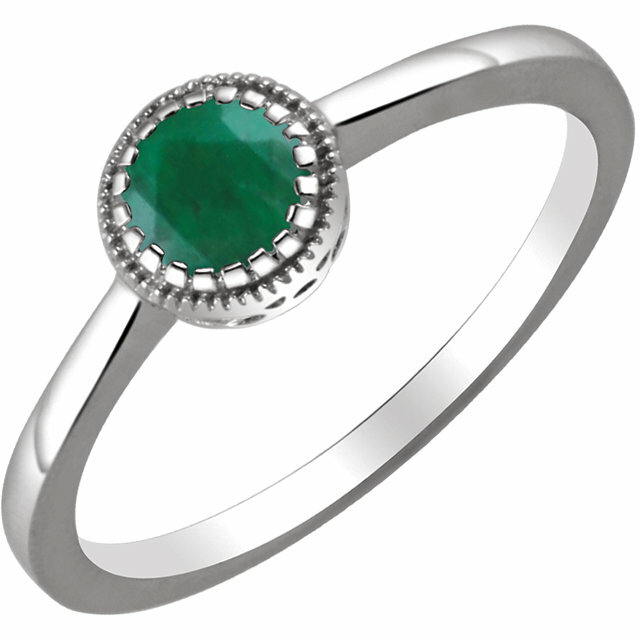 One of the 3 precious gemstones, emerald, is certainly one of the most sought after gemstones. 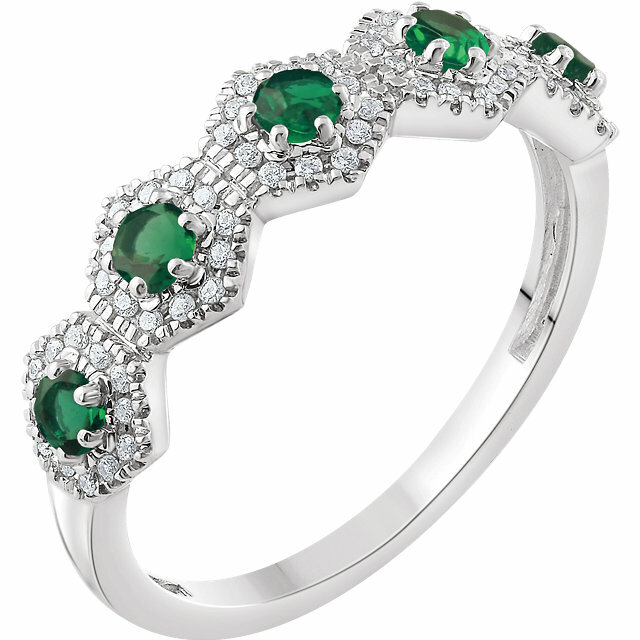 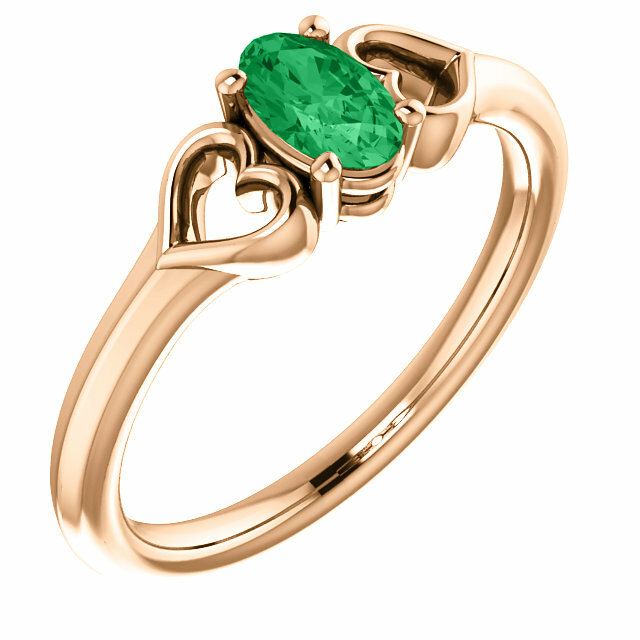 Our emerald ring represent the highest level of stylish and chic jewelry design. 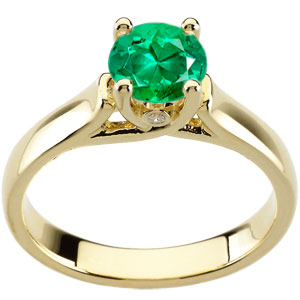 Andrew Sarosi's unique gemstone emerald rings are no exception. 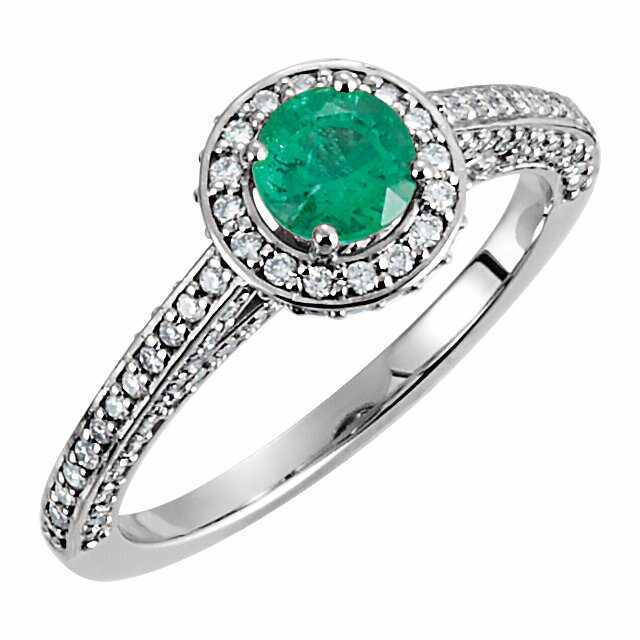 Andrew has the luxury to choose the finest quality emeralds for his emerald rings. 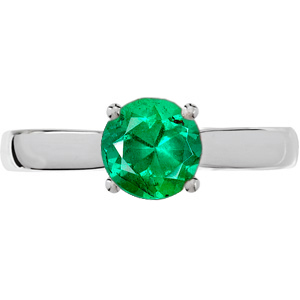 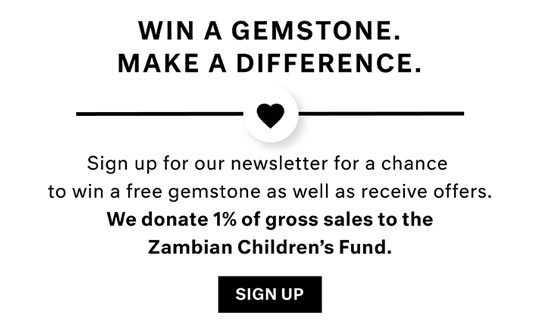 He chooses loose emeralds from Columbia and Zambia that display the most vivid green color combined with exceptional clarity and brilliance. 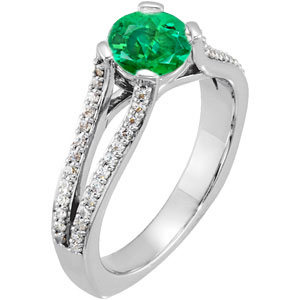 Andrew Sarosi emerald rings are not the same boring designs that you see in every mall jewelry store. 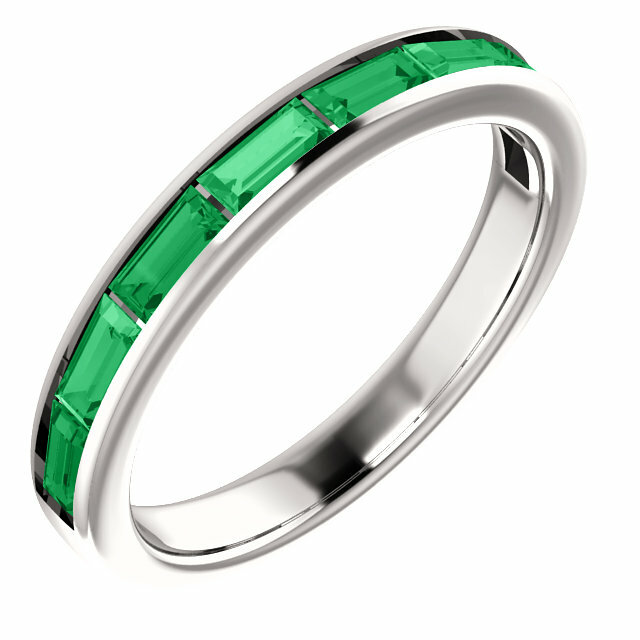 Our designs are all about uniqueness and high style. 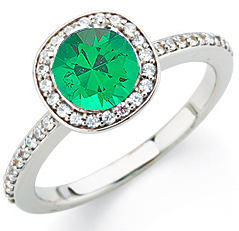 Andrew Sarosi has a unique eye for style and unique designs, especially for his stunning emerald gemstone rings. 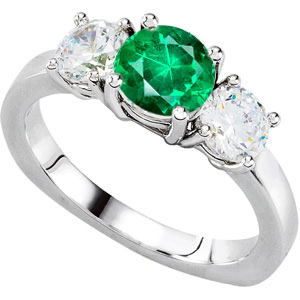 Our finest quality emerald rings can compete quality wise with anybody, even the very finest jewelry design houses that one sees on Madison or 5th Avenue in New York. 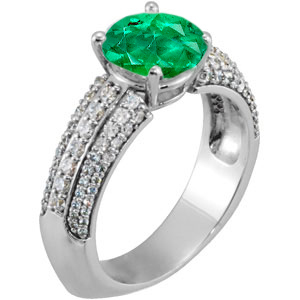 Our very best emeralds our world class gems that have the best color, best clarity and exceptional brightness.